When a retail or service business chooses to expand their reach through franchising, acquisition or organic growth, a critical question that arises is, “How do we replicate our success?” The answer for most? Adopt a site selection process and use mapping and analysis software that will provide your company’s decision-makers with the facts they need to make educated site decisions. Mapping and analysis software has certainly come a long way, from the command-line driven GIS (geographic information systems) run by highly trained GIS analysts and programmers in the 1970s and 80s to desktop mapping software with graphical user interfaces that flourished in the 1990s. In the 2000s, mapping became ubiquitous as the likes of MapQuest and Google Earth allowed anyone to view their data spatially. Meanwhile, GIS vendors began to release specialized desktop software products that allowed users to produce maps, reports, and even sales forecasts at the push of a button. It was only a matter of time before the ease of online mapping and the power of desktop GIS would combine into a product that promised the best of both worlds. Software as a Service—better known as SaaS—delivered on that promise. SaaS allows companies to license specialized software that they access through a web browser and leave tasks such as software installs and data updates to the vendor. The trade-off with SaaS, at least in the in early days, was that SaaS was often slower and functionality was limited. Today, the differences in functionality and performance between desktop software and SaaS for most users are insignificant. However, this does not mean that the products are interchangeable. 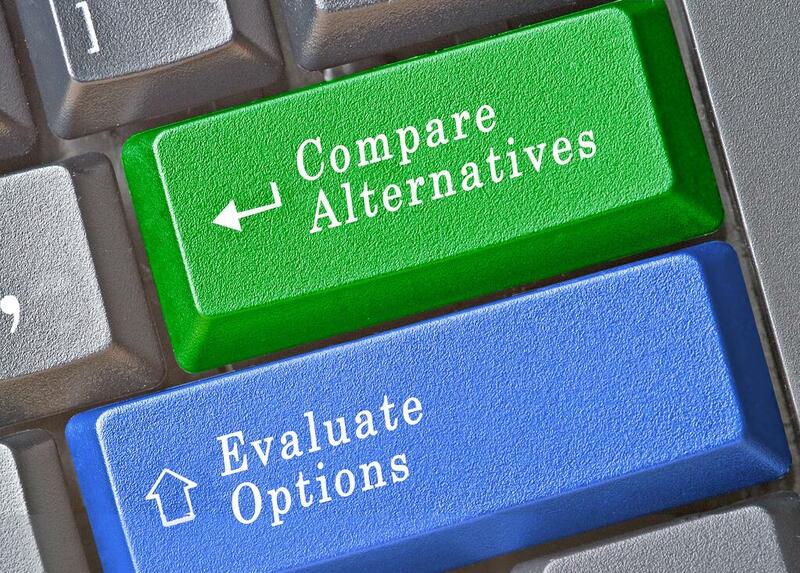 Here are some considerations when choosing site selection software. Author’s disclaimer – we are longtime users of desktop GIS and SaaS and are a SaaS provider. Tip #1: Think about the learning curve. SaaS site selection software is typically designed to be used by both analysts and decision-makers, so ease of use is the goal. Desktop GIS software has made great strides in usability in recent years, but still has a much higher learning curve in most cases. Many tasks that are push-button ready in SaaS require learning complicated steps or even programming to accomplish them. Despite the claims of ease of use perpetuated by many desktop GIS vendors, the learning curve can be weeks or months compared to hours or days with many SaaS products. For those that are willing and able to take that on, the desktop GIS software will inevitably allow greater flexibility and customization compared to a SaaS product. Another advantage of SaaS is the service aspect. Most desktop providers provide help resources for installing and using the software, but little in the way of achieving your goals with the software. By contrast, most SaaS site selection providers are willing to help you with best practices. So, for those who need extra hand-holding or an advisor, SaaS is likely to be the better option. Tip #2: How much maintenance are you comfortable with? A major benefit of SaaS for site selection is that you don’t need to install software and updates, manage data updates or troubleshoot problems. The software provider takes care of software and data updates. With desktop software, you’ll need to handle the installs, upgrades and patches and in many cases, will be on your own with finding and implementing data sources. Many users feel that an advantage of desktop software is that you can buy it and use it for years without paying for upgrades and data, but this is a poor business practice that can lead to violating data agreements and making decisions using outdated assumptions. Tip #3: Think about what you’re using it for. Are you seeking a mapping product with reporting functionality or a reporting product with mapping functionality? Both desktop and SaaS products for site selection make maps, can produce reports, and allow one to create custom analytics such as forecasting models, but each shine in different areas. For those whose primary reason for seeking site selection software is to make custom maps, you may be disappointed by the limited options in SaaS. Likewise, those desktop users seeking reports, analytics, and forecasting models will need to invest countless hours of time (and possibly developer costs) to approximate anything close to what comes standard in most SaaS products. Tip #4: Assess the (true) cost of both. On the surface, desktop software appears to be a much more economical option. Most desktop packages range from several hundred to a few thousand dollars. By contrast, SaaS contracts can be in the tens of thousands of dollars. The reality is that desktop and SaaS software often vary little in cost. Yes, SaaS will have built-in costs to for the hardware and maintenance required to manage the subscription platform. However, the real difference in cost is in data. The adage that you “get what you pay for” is never truer than with data. Most SaaS providers partner with high-quality and up-to-date data vendors, while low-cost desktop products come with lower quality data. Again, it’s about needs. If you’re making maps of population by ZIP code, cheap data will likely suffice. If you are making multi-million-dollar site decisions, high-quality data is a worthwhile investment. Tip #5: Who will be using it and where? Last and definitely not least, you need to think about who will use your site selection software and where. Earlier we discussed the learning curve of desktop vs. SaaS and how each is geared towards a user with specific needs and skills. Learning curve is only part of the equation. The way that one uses the software in their job is equally important. Do you have the need to access your work from different computers or devices or allow other users to access or share your work? Although you can certainly share files with a desktop product by saving the data on a company server or the cloud, SaaS often has built-in functionality to make sharing work or accessing work from multiple devices easy. One downside of SaaS is that it is internet dependent. Although some SaaS products allow for limited offline use, if you will often be working in an environment with no or slow internet access, then a desktop product will likely serve you better. For some users, the decision isn’t about desktop software versus SaaS. It’s about using both products where they work best. Some companies have found the right balance by providing a small group of analysts or support staff with desktop GIS for making maps, creating data, and automating tasks, while providing their real estate and marketing teams, brokers, and decision-makers with the SaaS tools they need. As you begin your search for the site selection solution provider that fits your needs and budget, keep in mind that there is no one right answer for all companies. Rather than simply choosing the vendor that your last company used or the first name that comes up on a Google search, we encourage businesses to take the time to understand their own goals and capabilities and how a potential provider will meet those requirements today and as your business evolves – and perhaps most importantly – how the provider handles customer service. Not sure about next steps? Give us a call at 866-524-2804! We’d be happy to share more about SiteSeer Professional, of course, but more importantly, we’d love to learn more about your specific goals and help you find the solution that is right for you.